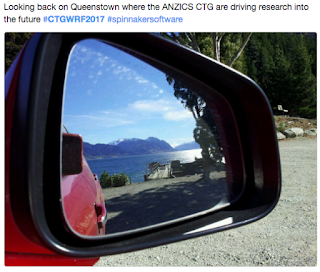 We were at the ANZICS-CTG Winter Research Forum in Queenstown last week. 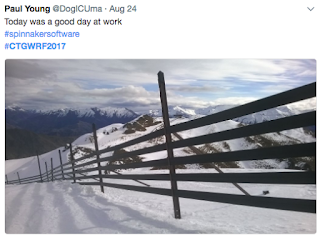 It was the most fun I’ve ever had at a conference. 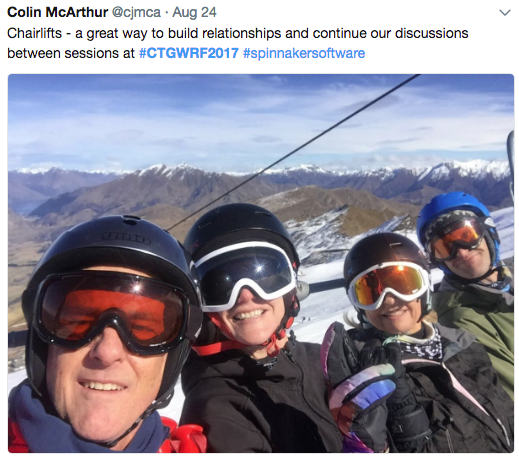 I especially enjoyed being able to give away an iPad to the best “conference” photo on twitter. Congratulations to Samantha Bates for her fabulous photo of The Remarkables reflected in her car mirror and the clever caption that went along with it. 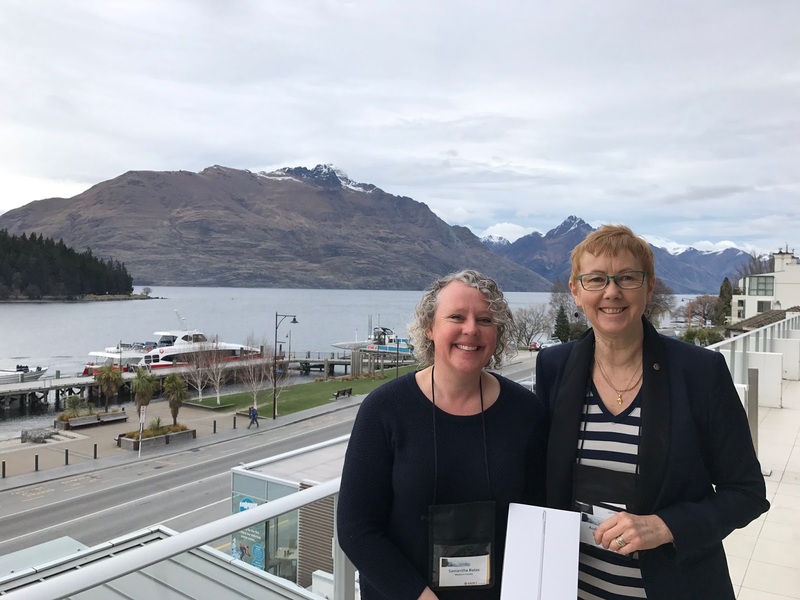 The forum provided an informal opportunity for investigators to gain early advice and feedback on research proposals, to explore issues relevant to study design and conduct in ANZ ICUs and to foster a collaborative approach to study development within the CTG. Five of the trials listed on the program are, or will be, using our software; these are TTM2, TAME, TARGET, PLUS and REMAP-CAP. This was a great opportunity for me to learn more about these and other projects; to extend my knowledge of whats it like in the world of ICU research so I can take that back to the software and improve Spinnaker for the people using it.